Another batch of endcaps drawn up for Dave’s Mapper. And I’m too damn lazy to cut them up into individual graphics like last time. However, things just got a bit weird in computer land here – both the system that I was building the new issue of Dodecahedron on (it was finished except for one illustration) and the backup drive were cooked off in a power surge while I was doing an overnight backup. So I’ve lost all my source files for my maps and projects, which means just about everything I was hoping to accomplish in the next while has been trashed. 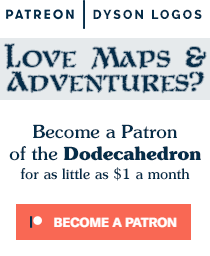 So, the Dodecahedron will probably be a little (a lot?) late. Right now I’m back to using a Linux system while I try to put together a new windows system with InDesign and Photoshop again so I can get back to it. ugh, good luck. looking forward to the new issue, but stay sane… data loss and computer issues can be maddening at times. Sorry to hear of your setback — but I am sure the Dodecahedron will be worth the wait. Fight On! I hope that you can get your HD issues resolved without too much loss. I, too, look forward to the next issue! Data loss is 100% unless I want to pay for professional data recovery. 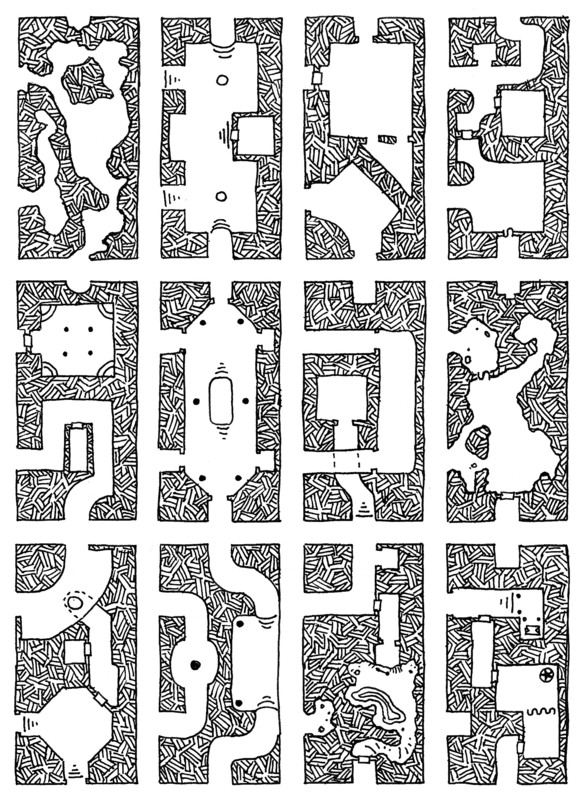 If you don't have backups of your geomorphs, there are high-rez copies of most of them (I think) in the graphics package for the dungeon generator on my website. Thanks, but the 300 dpi versions of the morphs are in the PDF version for download here. All I lost of import are the 300 dpi scans of some of the maps I have scheduled for the next month of Friday maps and all the source files for the Dodecahedron.